At Home Care Assistance of Guelph, we are changing the way the world ages, one client and one family at a time. We know that more than eighty-nine percent of older adults want to remain in their own homes and our professional Care Management Team is dedicated to making this happen. Founded in 2002 by Kathy Johnson, Ph.D., Home Care Assistance promotes a holistic, balanced approach to senior care, centered on the evolving needs of older adults. From learning and understanding the care recipient’s daily struggles and home environment, to ongoing care management and open communication, the Home Care Assistance approach ensures better home health care in Guelph. 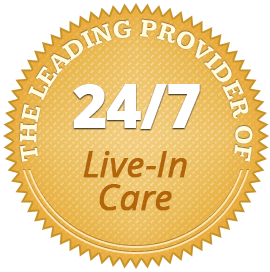 Live-In Care Expertise: At Home Care Assistance of Guelph, we specialize in providing live-in care. With full-time, around the clock care, a caregiver is always watching over your loved one, offering emotional support, reducing fall risk and assisting in all activities of daily living. At Home Care Assistance of Guelph, we are committed to helping seniors live happier and healthier lives in the comfort of their own homes. 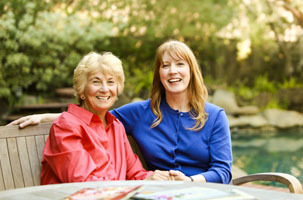 Contact us today at 303.957.3100 and speak with a Care Manager about professional home health care for your loved one.